For nearly 45 years, the AquaABF® Automatic Backwash Filter has received wide acclaim for its successful performance in municipal and industrial water and wastewater treatment. 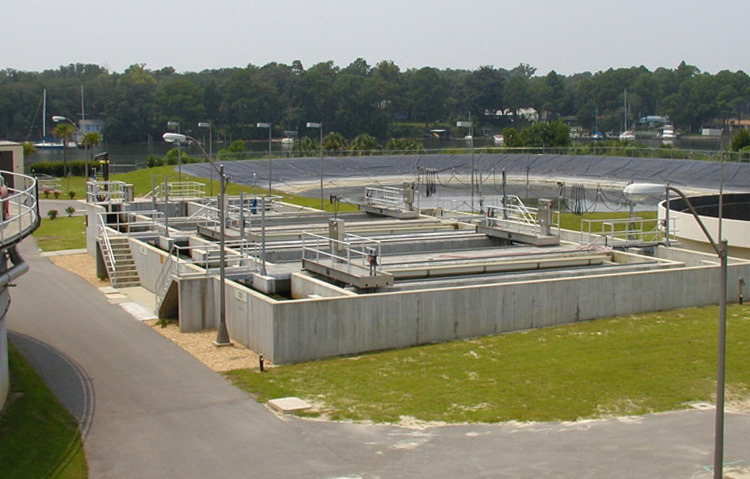 It has proven to be an efficient means of treating potable water, reducing turbidity and suspended solids in industrial process makeup water, and providing reuse quality effluent in municipal wastewater applications. 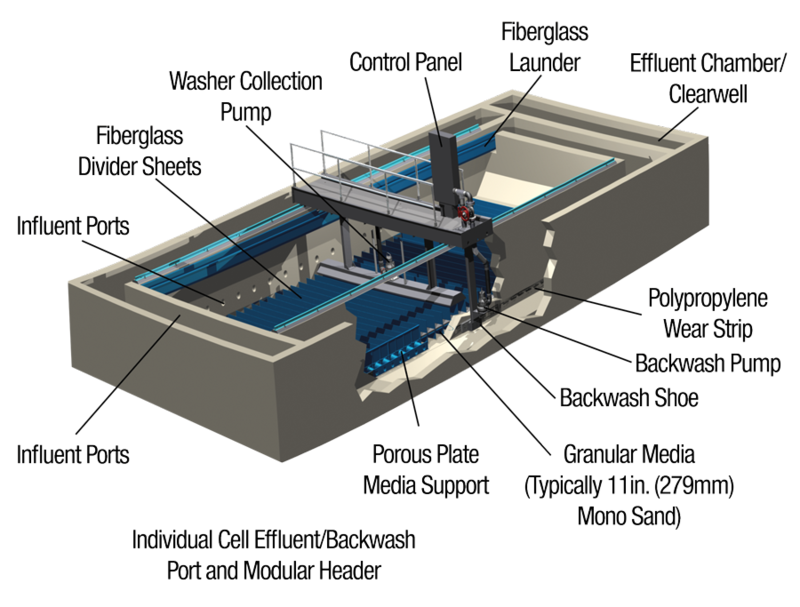 The AquaABF is designed to filter water and backwash cells simultaneously during normal operation. By design, the filter bed is divided horizontally into 8 in. or 12 in. (20.3 or 30.5 cm) wide cells. Inlet water floods the sand bed through multiple inlet ports via gravity and flows through the granular media and porous plate. Filtrate passes through the effluent backwash port and into the effluent channel. Backwashing occurs under the hood, which is suspended below the traveling carriage. During backwash, the carriage and attached hood move slowly across the filter bed. This action consecutively isolates and backwashes each individual cell. Cells not under the hood continue the filtering process as the hood and carriage travel across the AquaABF filter bed. A backwash pump draws filtered water from the effluent chamber and backwashes each cell by pumping water back through the effluent port. Another pump picks up the washwater, which has collected in the hood and discharges it to the washwater trough. The backwash cycle occurs only when needed because of headloss, or if desired, by a pre-selected time cycle. The Turbilite® option collects the post-backwash filtrate and re-directs it to the washwater collection system. The system minimizes post-backwash breakthrough, maximizing turbidity and suspended solids removal; and reducing virus and other microorganisms often present in potable water and wastewater. Four AquaABF® concrete filters installed as part of this plant’s upgrade to meet required effluent TSS and phosphorus levels. AquaABF concrete filters are available in standard widths of 6, 9, 12.5, and 16 ft. (1.8, 2.7, 3.8 and 4.9 m), offering site adaptability and cost efficiency. AquaABF® package filters are ideal for both municipal and industrial water or wastewater treatment applications. 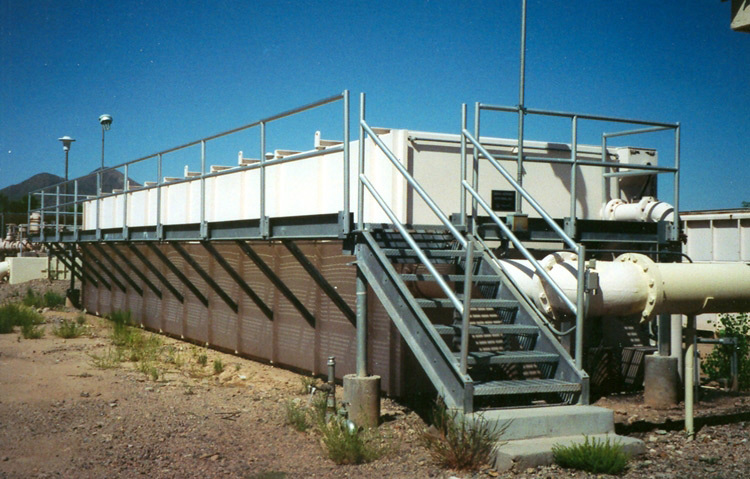 AquaABF package filters are available in a variety of sizes, ranging from 4 ft. x 8 ft. (1.2 m x 2.4 m) to 9 ft. x 40 ft. (2.7 m x 12.2m), and are available in both painted steel and stainless steel.